MacDill Air Force Base is fighting a war and the enemy has it surrounded. 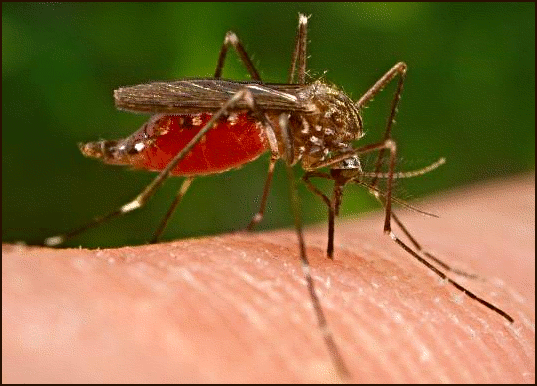 The base is apparently waging an unending battle against a squadron of Mother Nature’s own two-winged insurgency — mosquitoes, according to public affairs for the 6th Civil Engineer Squadron. MacDill is fighting back against the tiny terrorists with the help of a local pest control contractor and Hillsborough County Mosquito Control. The pest strike force is constantly working to send the mosquitoes into full retreat, but the stealthy buggers persist. The pest control contractor, ENSYNC DMS Inc./American Services Technology Inc., is attacking down low by sweeping roadside ditches and pools of water for larvae. While county mosquito control is attacking the battlefield from on high using a helicopter to inspect for larvae. The two-pronged approach is meant to decimate the ranks of the enemy. County mosquito control uses a granular larvacide, while ENSYNC DMS Inc. does a drive by spraying of liquid larvacide from a truck. When the enemy goes into surge mode the county also steps up its game by spraying a stronger insecticide for a quick victory. But the victory can be short-lived if the tactic is used too often. MacDill wants base residents to be on alert and ready to do their part to fight the annoying but sometimes disease carrying stingers in their tracks by reducing breeding sites. MacDill mosquito battle continues to rage. For more information, call the 6th Civil Engineer Squadron Pest Management office at 828-2991.